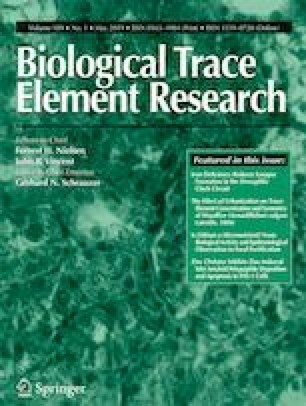 Chronic exposure to arsenic via drinking water throughout the globe is assumed to cause a developmental neurotoxicity. Here, we investigated the effect of perinatal arsenic exposure on the neurobehavioral and neurochemical changes in the corpus striatum, frontal cortex, and hippocampus that is critically involved in motor and cognition functions. In continuation of previous studies, this study demonstrates that perinatal exposures (GD6–PD21) to arsenic (2 or 4 mg/kg body weight, p.o.) cause hypo-activity in arsenic-exposed rats on PD22. The hypo-activity was found to be linked with a decrease in the mRNA and protein expression of the DA-D2 receptor. Further, a protein expression of tyrosine hydroxylase (TH), levels of dopamine, and its metabolites were also significantly impaired in corpus striatum. The arsenic-exposed groups showed spatial learning and memory significantly below the average in a dose-dependent manner for the controls. Here, we evaluated the declined expression of CHRM2 receptor gene and protein expression of ChAT, PKCβ-1 in the frontal cortex and hippocampus, which are critically involved in cognition functions including learning and memory. A trend of recovery was found in the cholinergic and dopaminergic system of the brain, but changes remained persisted even after the withdrawal of arsenic exposure on PD45. Taken together, our results indicate that perinatal arsenic exposure appears to be critical and vulnerable as the development of cholinergic and dopaminergic system continues during this period. Developmental neurotoxicity Arsenic DA-D2 receptor Spatial memory Locomotor activity etc. The authors thank the Director of the CSIR–Indian Institute of Toxicology Research (CSIR-IITR), Lucknow for his support and keen interest in the present study. Financial support by the University Grants Commission, New Delhi for carrying out the study is gratefully acknowledged.